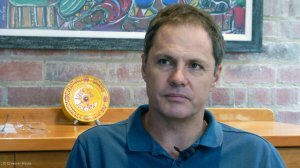 DRDGold CEO Niël Pretorius discusses his views of the current currency crunch. Camerawork and editing: Darlene Creamer. While the strengthening of South Africa’s rand against the dollar in recent months has been widely welcomed by many, it has somewhat dampened the outlook for exporters and mining firms reliant on a weakened currency to widen margins. 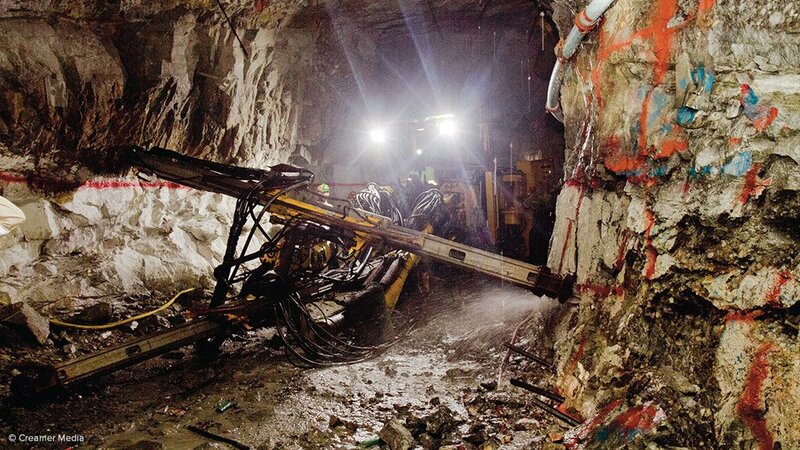 For South Africa’s gold mining industry, the resultant decline in the rand gold price, which has exacerbated the impact of high production costs and depleting reserves, is expected to continue to hinder gold gains and erode profitability in the short term. Despite relatively pessimistic macro- economic fundamentals, a renewed strengthening of the rand – or, at least, a stabilisation at this rate – is anticipated over the coming months, delivering to gold miners across South Africa poor returns amid rising cost bases, says BMI Research commodities analyst Diego Oliva-Velez. The rand:dollar exchange rate reached three-year highs on Cyril Ramaphosa’s election as South Africa’s President in February, strengthening at one point to R11.56 to the dollar and stabilising at the time of writing at about R11.80. A year ago, the rand was trending just below R13 to the dollar, peaking during the 12 months at R15 to the dollar before trending downwards to the current levels. BMI’s country risk team forecasts a year-end exchange rate of R10.90 to the dollar, a revision on the previous forecast of R11.60 to the dollar. In addition, better-than-expected gross domestic product (GDP) growth in 2017 temporarily lifted the rand further. Real annual GDP accelerated by 1.3% in 2017 following an increase of 0.6% in 2016, led by increased economic activity in finance, real estate and business services. Oliva-Velez says Ramaphosa’s intention to open negotiations with the mining industry on last year’s much-criticised third iteration of the Mining Charter will significantly improve investor sentiment towards the domestic mining industry, as should the appointment of the “seemingly more accommodating” Gwede Mantashe as Mineral Resources Minister. “The renewed likelihood of a strengthening rand will mean that the negative impact on domestic gold miners’ earnings witnessed over 2017 is likely to continue throughout 2018 and into 2019,” he tells Mining Weekly. The rand’s 10% appreciation over 2017 has led to poorer-than-expected financial results for key gold miners in South Africa, despite sustained gold production and a higher trending of international gold prices. Despite a 5% rise in the dollar-based gold price from November to February, the value of gold in rand terms over the same period has decreased from R18 336/oz to R15 613/oz, offsetting what could have been substantial gains for domestic miners. “We continue to be positive on gold prices, which we forecast to average $1 300/oz this year and $1 325/oz in 2019, up from $1 259/oz last year,” Oliva-Velez highlights. 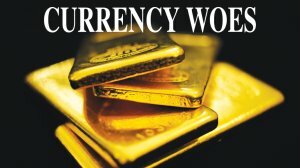 By 2021, international gold prices are expected to touch the coveted $1 400/oz mark. Oliva-Velez points out that, while many of South Africa’s gold miners posted modest financial results in the full-year and the second half of 2017, gold production in South Africa remains steady, with 2017 output reaching 5.1-million tonnes – on a par with the level recorded in 2016. The “happy place” for South African gold miners is an international gold price north of $1 400/oz at the current rand price and cost base, says DRDGold CEO Niël Pretorius. DRDGold, which ended the six-month period to December 2017 with an all-in sustaining cost (AISC) of R500 125/kg, or $1 187/oz, and a 4% decrease in the rand-based gold price to R547 653/kg ($1 272/oz), is preparing for a short-term future at a low rand-based gold price. “It is not a particularly good time, because the [rand] gold price has been a bit higher than what it is now,” he says, highlighting, however, that the pricing structure has also risen significantly from a considerably lower base two decades ago. DRD has considered the effect on its business of a gold price of R485 000/kg, which is the impact Pretorius expects the rand strengthening could have. “We could sustain the business at that level. There will be a bit of margin squeeze, but it is not threatening to our business,” he says, adding that it seems to be as tough as it is going to get for mining companies. He highlights that, for every R1 000 that the gold price goes down per kilo, a loss of R1-million in revenue is recorded over a quarter. “We produce roughly 1 t of gold a quarter, so, if the gold price is R100 000/kg higher, that is R100-million more in revenue for the quarter,” he tells Mining Weekly. However, Pretorius remains of the view that reality is likely to set in, with the rand once again weakening within the next six to nine months when the “honeymoon period” following Ramaphosa’s ascension to the Presidency fades. DRDGold anticipates full-year gold production of between 147 000 oz and 153 000 oz at a cash operating cost of about R475 000/kg. There is a need to get the industry’s unsustainable cost base under control, says Pretorius. Theoretically, the international gold price and its equivalent rand conversion equate to a good gold price, considering that, ten years ago, the local gold price was well below R300 000/kg – and even lower two decades ago. Pretorius argues that the answer to South Africa’s gold mining woes might not lie in a higher gold price, but rather in a different, healthier cost base. “Maybe we no longer have a healthy cost base because we no longer have a healthy model . . . owing to unsustainable practices [that we need to reverse],” he says. While a new model can benefit the industry, it will take a crisis bigger than this to trigger the required change at the core of the gold mining industry, he warns. Oliva-Velez agrees that, in the long term, structurally high costs in the country’s gold mining industry will necessitate a new model in order to compete with gold producing countries in the region with cheaper-to-mine and more accessible deposits, such as the Democratic Republic of Congo. “The most obvious solution ahead will be the implementation of technology,” he says. “We expect gold mining companies in the country to increasingly consider entering into partnerships with technology companies in order to streamline operations and bring down costs through the use of artificial intelligence, blockchain or drones,” he says. Anglogold and Sibanye Gold’s results in 2017 reflect a decrease in adjusted earnings before interest, taxes, depreciation and amortisation year-on-year, while the AISC increased in both companies’ South African gold operations as the currency-adjusted costs rose. Sibanye-Stillwater CEO Neal Froneman notes that, should a strong rand:dollar exchange rate persist without a corresponding gain in commodity prices, the group will evaluate additional funding possibilities, which may include, among others, streaming facilities, reduction of capital expenditure, the sale of assets and, as a last resort, equity raises. The group reported a 4% decline in the average rand gold price received to R549 064/kg in the six months ended December 2017, despite a similar average received dollar gold price of $1 274/oz, with the half-year ending at a currency exchange rate of R13.31 to the dollar. Sibanye’s AISCs increased 6% to R480 010/kg and all-in costs (AICs) at the South African operations rose to R498 474/kg in the period under review, from R476 774/kg in the corresponding period in 2016. Meanwhile, Gold Fields achieved an average dollar gold price of $1 255/oz in 2017, a 1% increase on $1 241/oz in 2016, while the average rand gold price decreased by 8% on R584 894/kg to R538 344/kg. Gold Fields’ AICs at its South African operations increased from $1 234/oz, or R583 059/kg, to $1 400, or R6 000 109/kg, in 2017, while its AISCs increased from 1 207/oz in 2016 to $1 340/oz during the year ended December 2017. Mining Weekly previously reported Gold Fields CFO Paul Schmidt as saying that the South African gold hedge of the Johannesburg- and New York-listed company covered about 2 t of gold at a floor price of R600 000/kg and a cap of R665 621/kg, against the backdrop of the strengthening rand lowering the rand price of gold. However, at the time, he emphasised that Gold Fields was only a short-term hedger and that the company would return to its policy of being unhedged in 2019. Harmony Gold, meanwhile, posted a financially strong six-month period to December, with the international gold price at an average of $1 348/oz, compared with the price for the six months to December 2016 of $1 303/oz. However, in rand terms, the gold price declined from R585 908/kg in the half-year ended December 2016 to R580 672 in the six months to December 2017, with the exchange rate at R13.40 to the dollar, compared with R13.98 in the six months to December 2016. AISCs for all operations decreased year-on-year by 2% to R500 248/kg in the six months ended December 2017. However, in dollar terms, AISCs increased by 2% to $1 161/oz, mainly owing to the strengthening of the rand against the dollar in the six months under review. “A weaker rand-based per- kilogramme gold price simply serves as a reminder to reassess excess costs – if any – and to cut back on expenses that do not support the core business,” says Harmony Gold CEO Peter Steenkamp. During 2016, Harmony started a foreign currency hedging programme to manage the foreign exchange risk. The limit currently set by the board is $500-million, which equates to about 35% of the group’s foreign exchange risk exposure. Meanwhile, Pan African Resources is poised to lever- age the low rand gold price, producing 100 000 oz of gold a year from the tailings operations at an AISC of below $700/oz. Owing to lower gold production, the cash cost per kilogramme increased to R473 187/kg, the cash cost per ounce to $1 099/oz and the AISC per kilogramme to R545 908/kg.